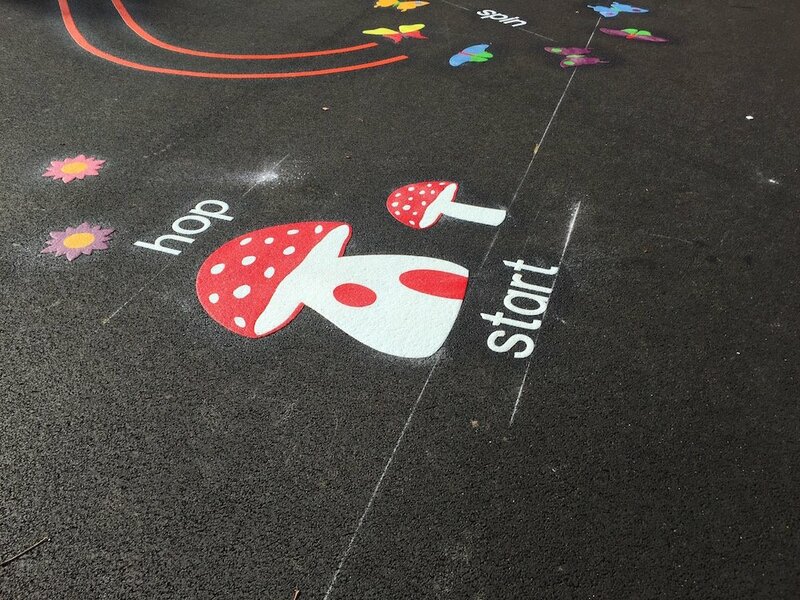 We recently instructed to design and install a range of playground markings at Lemington Riverside Primary School to improve both Key Stage 1 and Key Stage 2 play areas. 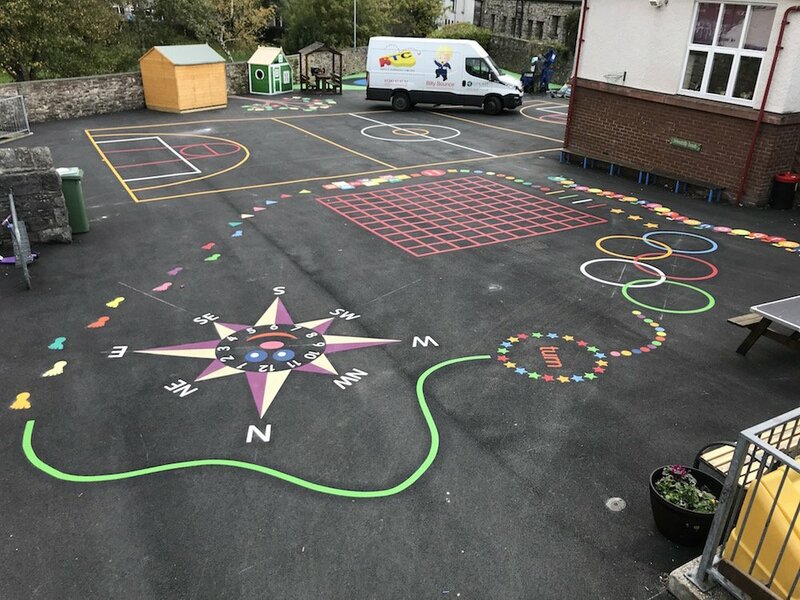 In the Key Stage 1 playground the teachers wanted to improve the children’s literacy and numeracy as well as brightening up a dull grey tarmac. 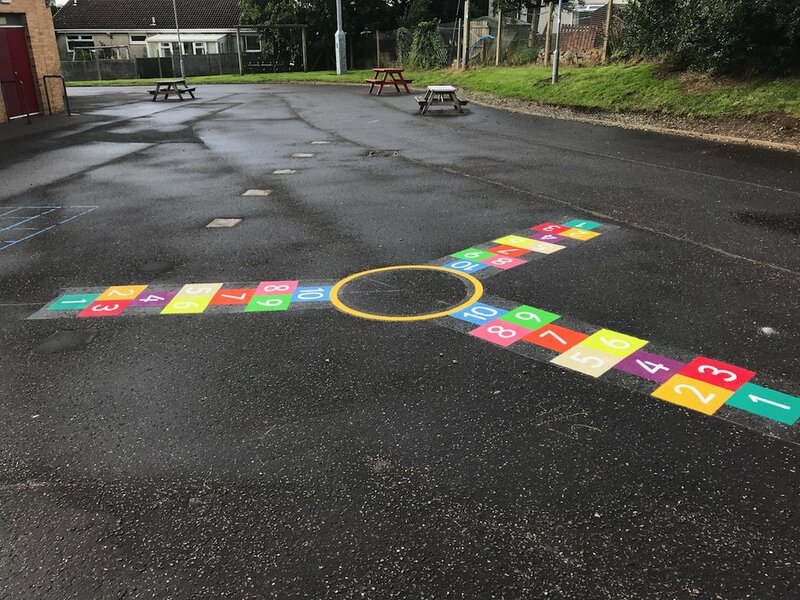 We included a-z Dragon and a Calculating Caterpillar as well as a 30m Activity Trail to encourage the children to be more physically active in the playground. 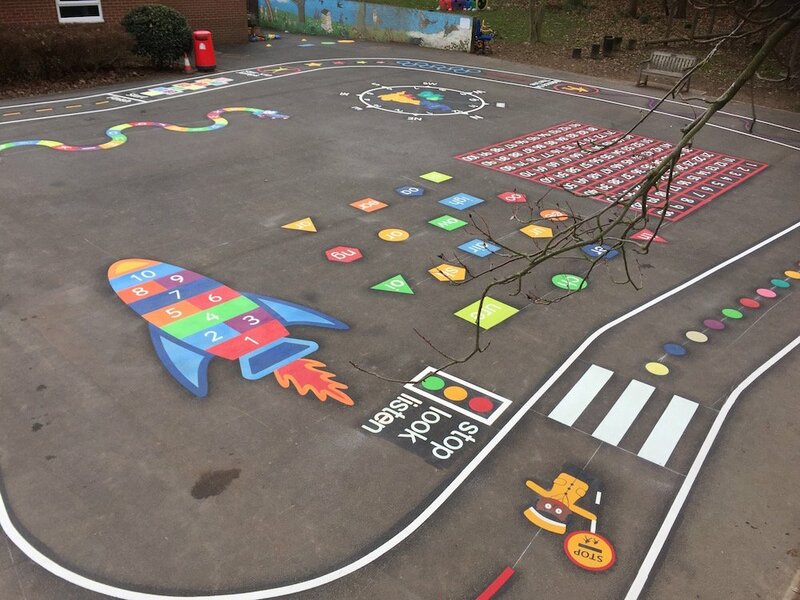 As part of first4playground Spring 2014 offer the school received a Sunflower Hopscotch (Recommended Retail Price – £195) FREE as they spent over £1,000 on playground markings. 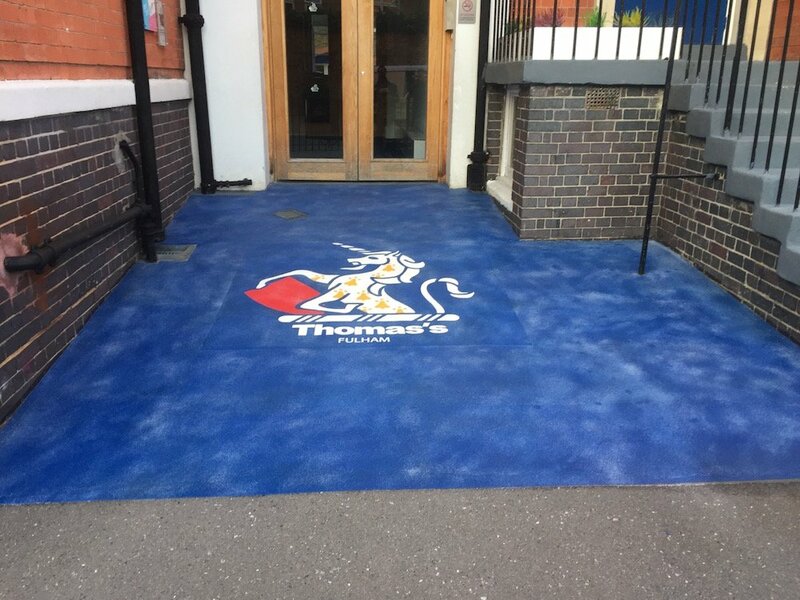 In the Key Stage 2 playground the teachers were keen to improve the physical education of the children. 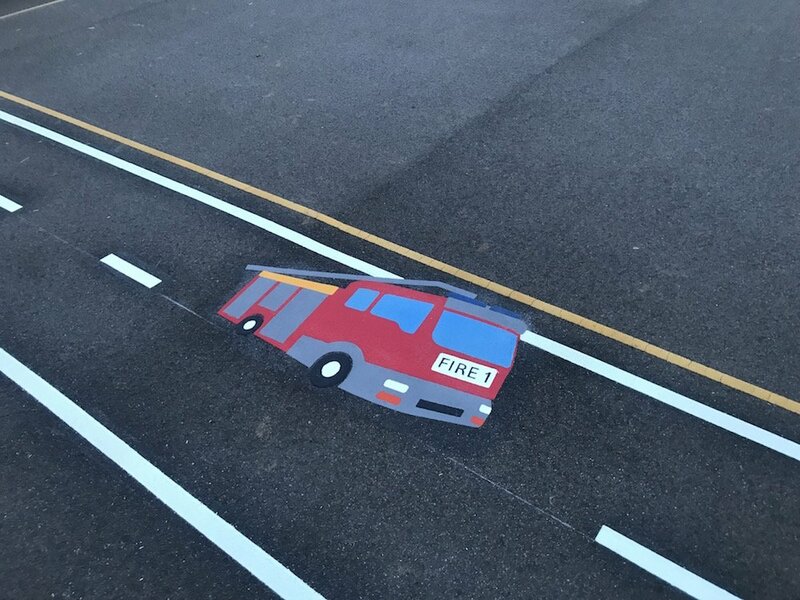 The netball and basketball courts were re-lined over the old painted markings and a 4m Target Throw, Standing Long Jump and Skill Snake were installed around the netball court. 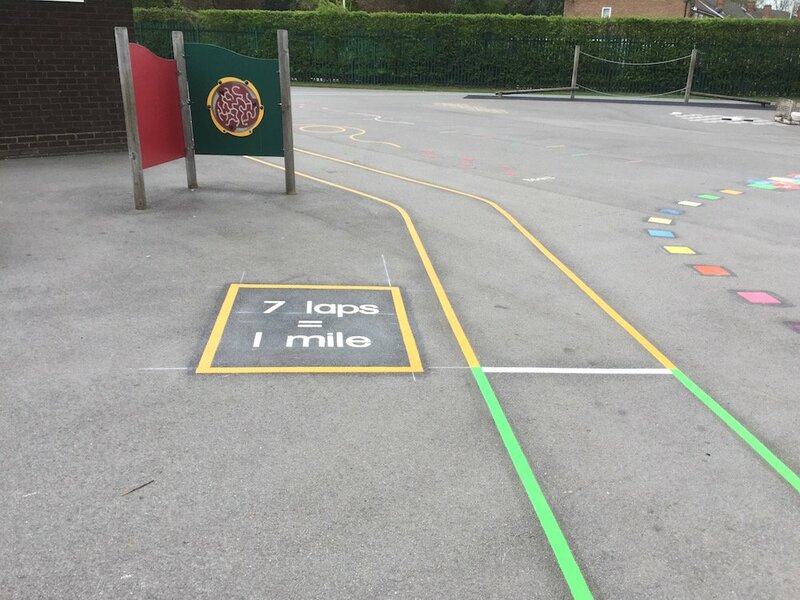 The PE staff were really impressed with the new markings and couldn’t wait to use them in their next outdoor lessons.